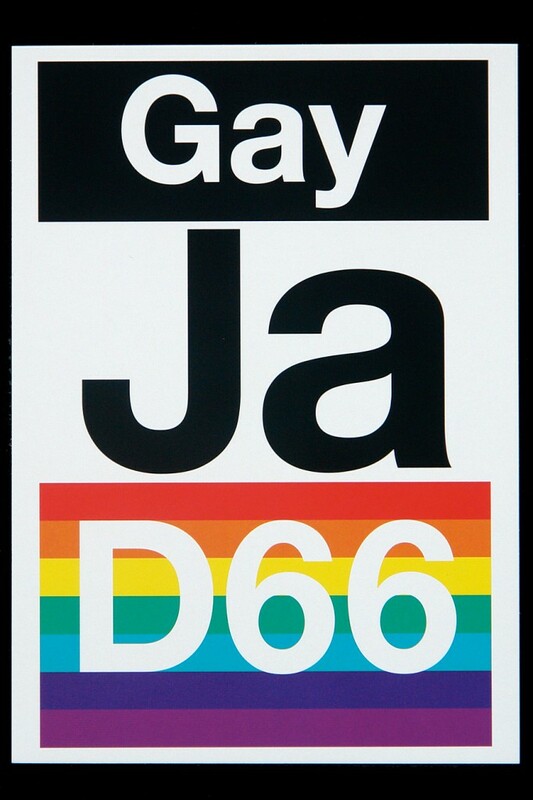 The posters, which are distributed outside of the election period, emphasise clear points of view. 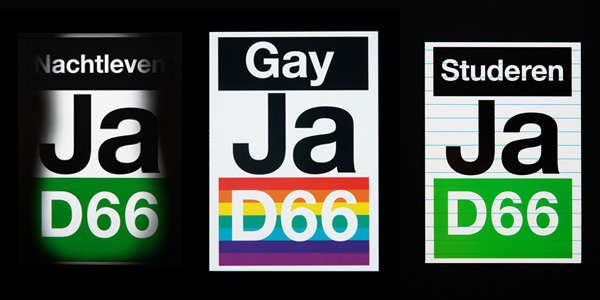 Each poster playfully tackles one topic or point of view, all within the strict rules of the D66 visual identity. 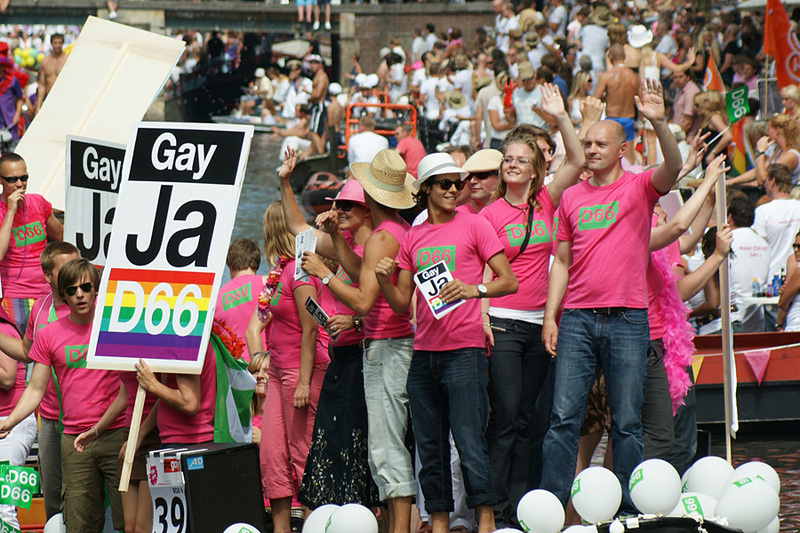 The ‘Gay, Yes’ poster was distributed at the time of the ‘2009 Gay Pride’. 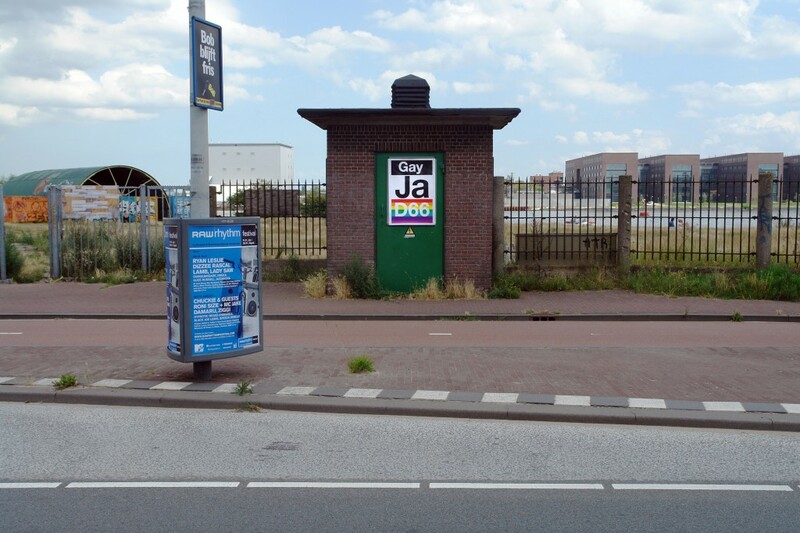 During the annual Amsterdam Cultural Night there was no escaping the ‘Nightlife, Yes’ message. Apart from the posters, the message was also spread actively in flyers. ‘Studying, Yes’ added a positive message at the start of the new academic year. Red Dot Design Award 2010 ‘Best of the Best’.